I’ve fielded a number of requests recently asking how to interrogate a file within SSIS and change the processing rules based on the metadata of said file. 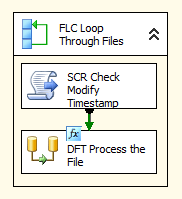 A recent forum poster specifically asked about using the foreach loop to iterate through the files in a directory and, on a per-file basis, either process the file or skip the file if it was updated after a specific date. 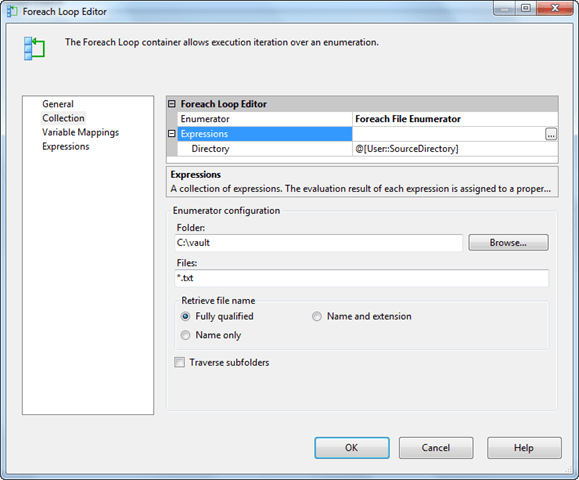 I’ll use that most recent request to illustrate one method to implement conditional processing in a foreach loop container in SSIS. A script task to interrogate each file and, based on the timestamp, mark it to be either processed or skipped. 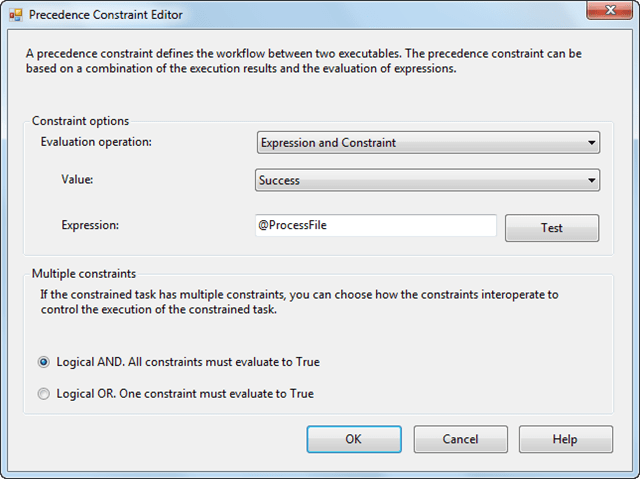 A precedence constraint which will be configured to validate an expression and task outcome. A data flow task to process the validated files. Now, when the SSIS package is executed, the timestamp of each file in the specified directory will be checked, and only those that meet the date criteria will be processed in the data flow task. Note that you could replace the timestamp in our example to some other file criteria; for example, you could check the file size, type, attributes, or other settings to determine if the file should be processed. 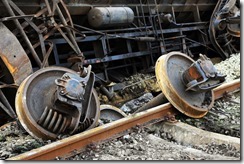 Although SSIS does not include a native component to conditionally process files, you can see from this example that a simple script can easily solve this ETL challenge. You can download the sample package used in this example here. 2 Comments on "SSIS: Conditional File Processing in a ForEach Loop"
I thought you could write a WQL query using the WMI Task/Component? Maybe I am mistaken? Hi Steven, possibly so. What I’ve found is that very few folks tangle with WQL (including me), so C# or VB.NET is often the easiest path to get this information.